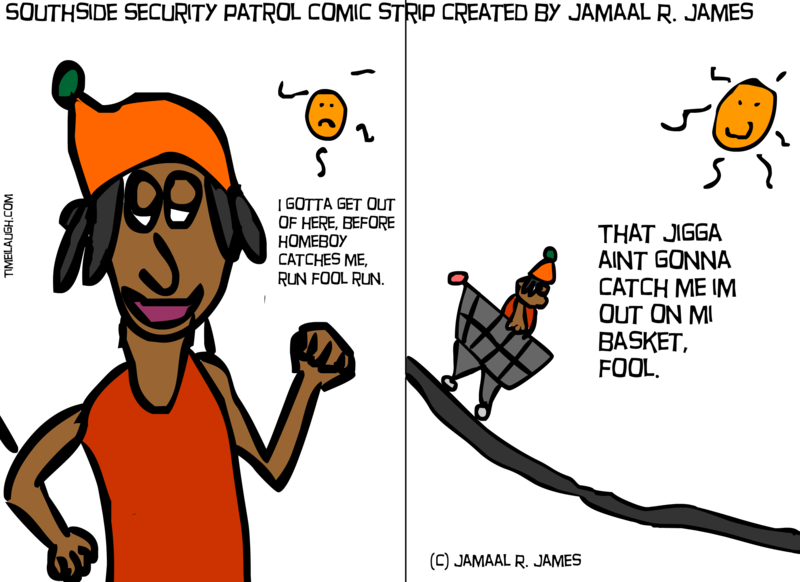 In this episode the dude gets away from the security officer who gives chase but is unsuccessful. The basket bandit got away. Maybe the security officer will catch him next time. Southside Security Patrol Comic Strip was created by Jamaal R. James For James Creative Arts And Entertainment Company. One of the Most Popular Comics from James Creative Arts And Entertainment Company. In this Comic Online of Southside Security Patrol, Rambo The Jam is walking around and seeing how things work in the big new city. This top web comic Southside Security Patrol is an online comic and soon to be publishing in digital and print comic, web comic that was created by Jamaal R. James for James Creative Arts And Entertainment Company. 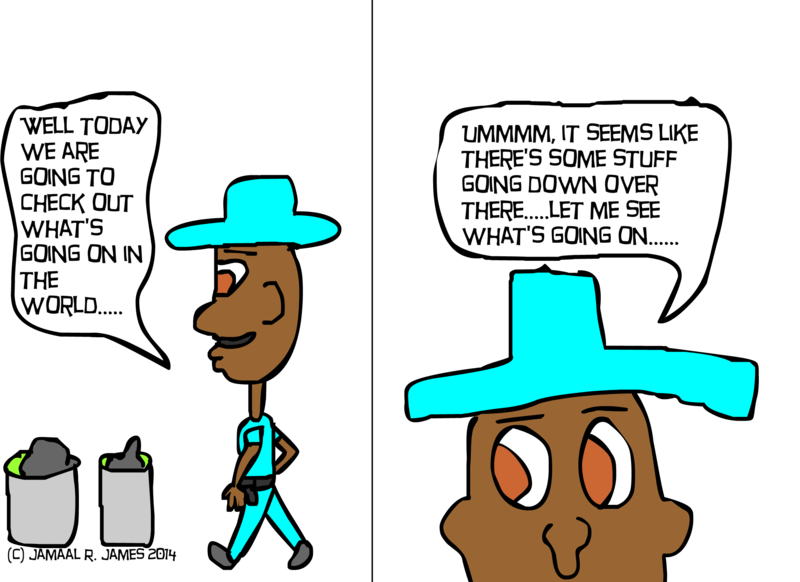 Southside Security Patrol Comic Strip was created by Jamaal R. James For James Creative Arts And Entertainment Company. Comics, comics online, web comics, sunday comics, top web comics. 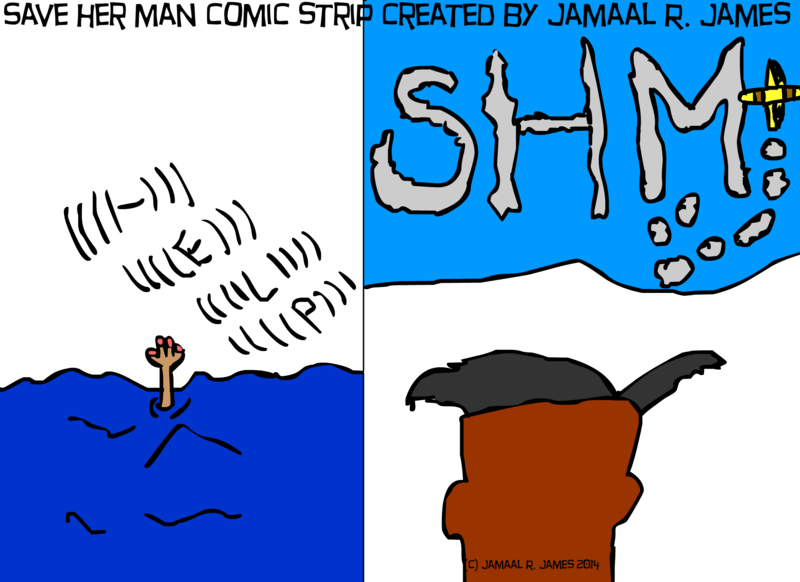 Save Her Man Comic Strip created by Jamaal R. James for James Creative Arts And Entertainment Company. 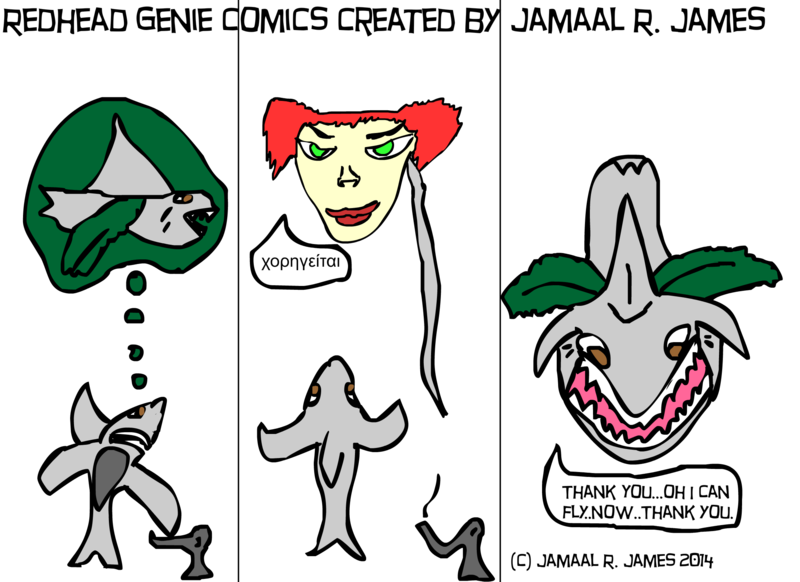 Redhead Genie Comic Strip created by Jamaal R. James for James Creative Arts And Entertainment Company.